Myron Beach was Warrensburgh’s first Town Clerk in 1813. He was also one of the first two Fence Viewers and Pathmaster of District #1. He had been a captain in an artillery company that took part in the Battle of Plattsburgh during the War of 1812. Among the first merchants in Warrensburgh, his shop was owned by his sister, Melinda Warren and her husband James Warren. This was later the site of James Herrick’s store, located at the foot of Elm Street. Herrick's Corner Store was located at the foot of Elm Street. It was purchased and developed as a store by Halsey Herrick around 1880. Frank Stone and John C. Hayes ran the store until Charles Lavery purchased it in 1899. After 20 years he sold Lavery's to L.A. Mosher (son-in-law to Henry Cameron) who also was running the J. Freeman Cameron store in Lewisville. The two stores were combined in 1924 at the Elm Street site. Thomas W. and Mae (Southwick) Smith purchased the store in 1928. After her husband's death in 1939, Mae and her sister, Bessie, continued to run the store as M. S. Smith's or Herrick's Corner Store or as "Southwick's Grocery." Earl and Cordelia Herrick ran the store from around 1946 until 1963 as "Herrick's Corner Grocery." Ralph and Zella Bardwell bought the store in 1963 and ran it as "Bardwell's" until 1969, at which time it was purchased by Mr. and Mrs. John Baker and Mrs. William Schloss, Jr. It burned in the early 1980s. Charles E. Lavery was born in the town of Chester in 1862. From 1885 to 1890 he worked with his father (John) in the lumber business near Griffin. In 1890 he went into partnership with William Burnham in a store in Lake Pleasant. It was 1899 when he moved to Warrensburg and purchased the store at the foot of Elm Street from Halsey Herrick. He continued to run this store until 1919, when it was sold to L. A. Mosher. He was married three times and had one daughter, Bertha (Thompson). Lavery died in Warrensburg in 1942. 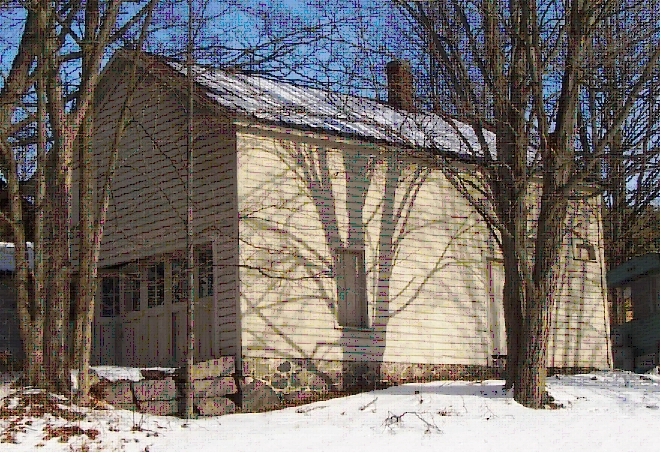 Southwick General Store - Thomas Woodward Smith and his second wife Mary (Southwick) purchased Lavery's Store at the foot of Elm Street in 1928. When Mr. Smith died in 1939, Mary and her sister Bessie, ran the store. Mary died in 1940. Bessie married Arthur Irish in 1945. Sometime around 1946, their brother Earl began running the store as Herrick's Corner Store. Earl and Bessie's father was William Southwick from Igerna.